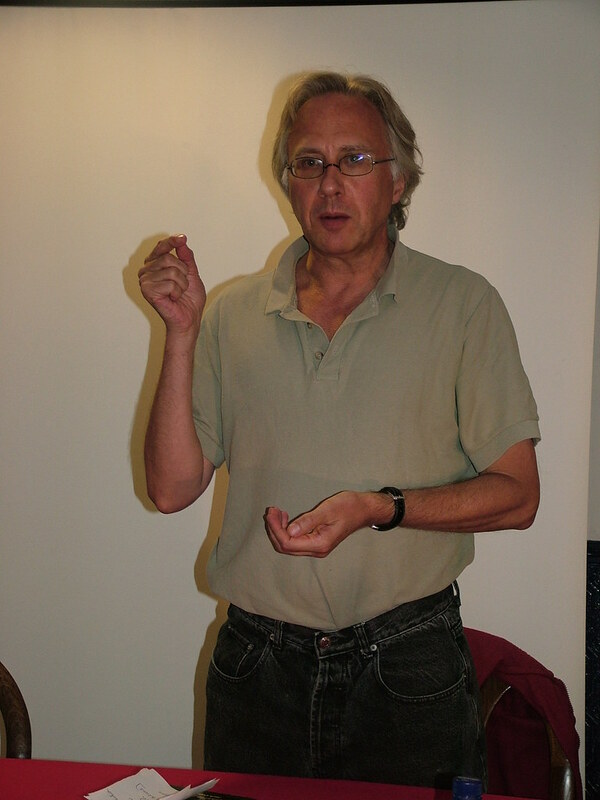 Jack Conrad at the Communist University 2012 – Is that a halo? Comrade Jack mentions Stalin’s Short Course and complains that Stalin also spread these lies about Kamenev and Zinoviev. EH Carr, in his Bolshevik Revolution, Part 1. pp 106-7, does record the formation of this centre, consisting of five leading Bolsheviks, ‘Sverdlov, Stalin, Bubnov, Uritsky, and Dzerzhinsky which was to form part of the military-revolutionary committee of the Petrograd Soviet (led by Trotsky, GD) … contemporary records make no further mention of the centre … and, like the ‘politburo’ appointed a week earlier (on 10 October, GD) never seems to have come into existence.’ So much for Stalin leading the revolution. The short course was drafted by Vilhelms Knoriņš, Yemelyan Yaroslavsky and Pyotr Pospelov, beginning in 1935. The unfortunate Latvian Knoriņš was arrested in the Great Purges and executed on 29 July 1938. The other two, now joined by Vyacheslav Molotov, had already got the message and wrote what Stalin told them, and each new edition had changes to damn those executed in the meantime, who had been praised in the previous edition. Curiously Comrade Jack then gives an accurate account of these events and asserts that it must be lies because Stalin said so. 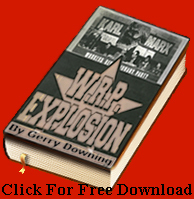 But it the truth and the account of hundreds including Lenin, John Reed, Tony Cliff, EH Carr, Trotsky and … Stalin. He tells us “When it comes to 1917 the Short course is a palimpsest of Lessons of October.” And don’t’ you like that the bit where he says, “the letter immediately fell into the hands (my emphasis – GD) of Novaya Zhizn (a daily paper associated with the left-wing writer, Maxim Gorky).” What had happened then? Zinoviev was walking out of a meeting; the document fell out of his pocket and a Gorky agent happened upon it? Lenin said that this was strike breaking and treason, they had handed it over in a bid to stop the insurrection. And then his extended pean in defence of Kamenev and Zinoviev, who were only a bit cautious and careless as Comrade Jack tells is, in seeking to defend the ‘democratic dictatorship of the proletariat and peasantry’, which Lenin had consigned to the dustbin of history. But clearly, Comrade Jack is using the TACTICAL mistakes of Shliapnikov and Molotov heer in calling for the immediate overthrow of the Provisional government as a cover for rejecting the importance of adopting just that STRATEGIC perspective for the Bolsheviks, which Lenin’s April Theses succeeded in doing so well. 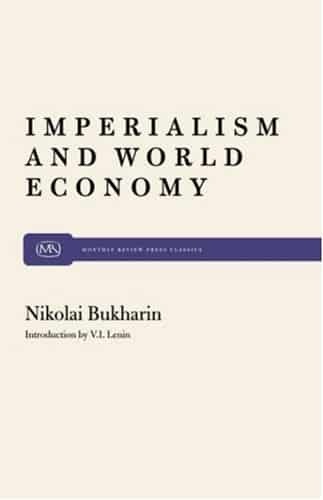 But between 1905 and 1917 came Bukharin’s 1915 Imperialism and World Economy, to which Lenin wrote the very profound foreword and his own Imperialism, the highest state of capitalism in 1916. It was now to a world-wide socialist revolution and a worldwide class consciousness of all workers that Lenin turned resolutely. But the Russian Revolution was a big mistake apparently, Lenin should not have changed his mind and lashed up with that scoundrel Trotsky. Only a bourgeois revolution was ever possible in Russia back then and subsequent events have proved this correct. QED – Comrade Jack Conrad. Strangely my old WRP comrade Cliff Slaughter has now come to the same conclusion under the tutelage of István Mészáros. He even deliberately misquotes Trotsky to prove this. Strange bedfellows indeed!